A website is more than just nice design, the flow has to be simple and intuitive and the messages must be clear and concise. Your content needs to showcase your business and take advantage of SEO keywords to ensure that you are getting the traction your site deserves. The quality and design of your website affect your reputation and sales. Many small to medium sized companies with a great product or service have little time to focus on their website and they do not have a dedicated marketing team to create and manage their site. This is where I can help. I have spent the past 20 years building and managing websites like this one and I can do the same for you. Content Management Systems, CMS, provide a powerful way to quickly build and manage websites. A Content Management System provides tools for a business owner to make minor edits and add new pages to the website, allowing them to keep information fresh and current. The CMS tools allow businesses to update pricing, offer sales, and change menu items with a few simple clicks. Using a CMS is as easy to use as a word processing program like MS Word. A CMS saves businesses time and money because it allows them to manage small website changes themselves. The goal of a web manager like myself is to work with a client to define how the website should look and function, as well as helping to ensure the content is SEO (Search Engine Optimization) friendly. Once the initial site is built and ready for release, I do a quick training on the tools so that you will be able manage and monitor the site with minimal additional support (which is always available). This site is built on Joomla!, an open source content management system that has been in use since the early 2000's. Joomla! has thousands of plugins and thousands of templates. The combination of Joomla! and high-quality templates from providers like Shape5.com allow you to focus on the content and functionality of the site, saving you months of work and thousands of dollars. This site that accepts payments via credit card, pay-pal or optionally pay at the door. It includes an online registration component that the school uses to create new course events and then allows the students to register online. The site works well and has been running continuously for more than five years without issue. The owner of the company makes his own edits to the site and rarely requests any changes. The site incorporates automated backups, online registration components, social media components and a payment gateway. For any E-Commerce site you will need to be PCI-DSS compliant (an industry term that defines regulations that the banks enforce to ensure you are employing all the correct security standards.) All sites with E-Commerce must have an SSL certificate and a merchant account with a bank. In the 20+ years of building E-Commerce sites, I have never known a good reason to store credit card data. The sites I build use a gateway to pass the information to the banks via SHA-2 and 2048-bit encryption – the strongest on the market. Even software companies need a little help with websites. Most companies are focused on the product or service they provide and software companies face an interesting dilemma since they usually have the talent for redesigning a corporate website, but those resources are allocated for building products, not the corporate website. 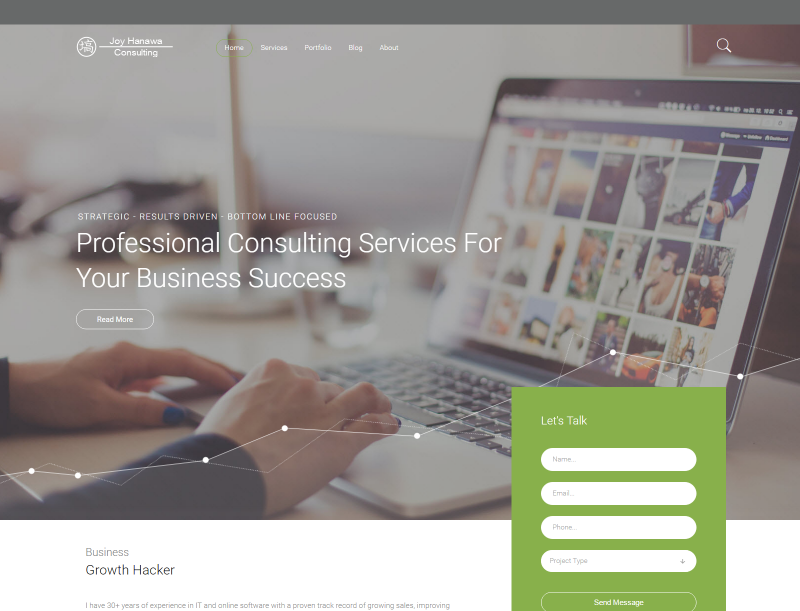 This company needed a new site to update the look and feel and to make the site responsive. 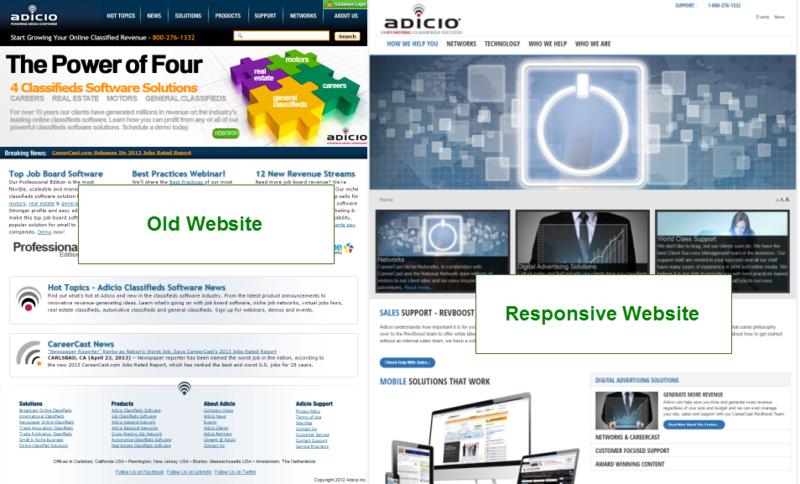 Responsive design means that the website changes when you look at it with a different device. The same website will look different on a mobile device and a tablet than it does on the desktop. The same content is delivered but in a more device friendly format. This responsive design website was a stop-gap site until a new corporate site could be implemented. That was more than three years ago, and while they have significantly improved the look, it is the same website, the same framework. This highlights the flexibility any company can have with a CMS based website. 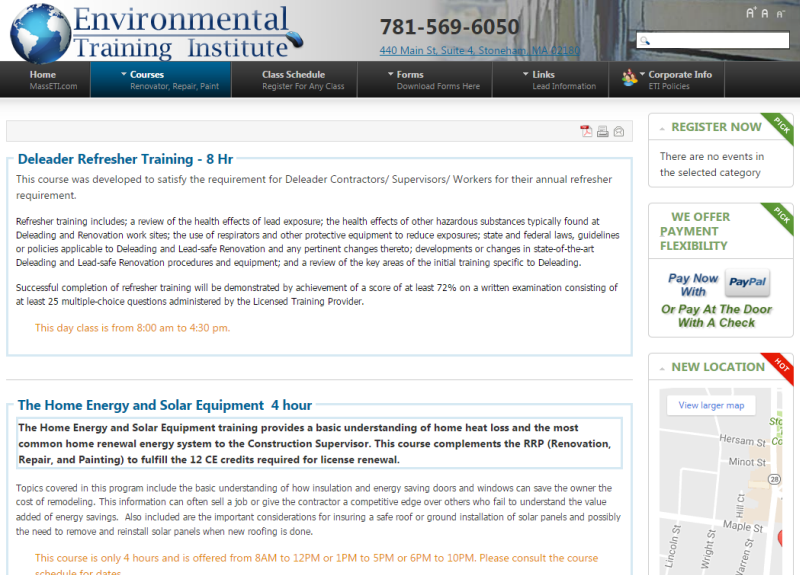 They update the content on this site monthly using the training materials I provided after setting up the site. The the live sites look different? The owners of the sites have taken advantage of the ability to modify the site after the initial release. The tools allow you to change menus, add content, add new sections, all without having to call or hire a webmaster. For the best results, I recommend the marketing department take over managing the website to ensure the graphics are clean and the messaging is consistent with all corporate messaging. How do I get people to visit my site? For the best results for traffic you should deploy a combination of SEO (Search Engine Optimization) keyword optimization, SEM - search engine marketing - purchasing ads on google, and a social media marketing strategy. All my sites use google analytics to track the traffic so that you can see how many people have visited your site. We can work together on additional marketing strategies to boost your traffic with social media, SEO and SEM. The beauty of a Joomla CMS based website is that there are thousands of web masters who know how to manage your site. Contact me for more information on how I can help you. No project is too big or too small. Inventory can be maintained in a third party system and integrated with the website, or the inventory can be a component of the website and managed as part of the site. Customer login and registration can also be connected to a CRM, if you have one, or you can use a CRM plugin in the website and manage your clients from the site. This will depend on what systems you already have in place.